Earlier this year NISC launched a competition encouraging birders to submit their bird photos for a newly designed cover of Ostrich: Journal of African Ornithology. The winner was Ingo Waschkies who submitted a stunning image of a lesser flamingo phoenicopterus minor taken at Lake Nakuru, Kenya in August 2011. The latest issue of Ostrich happens to feature an article on flamingos. 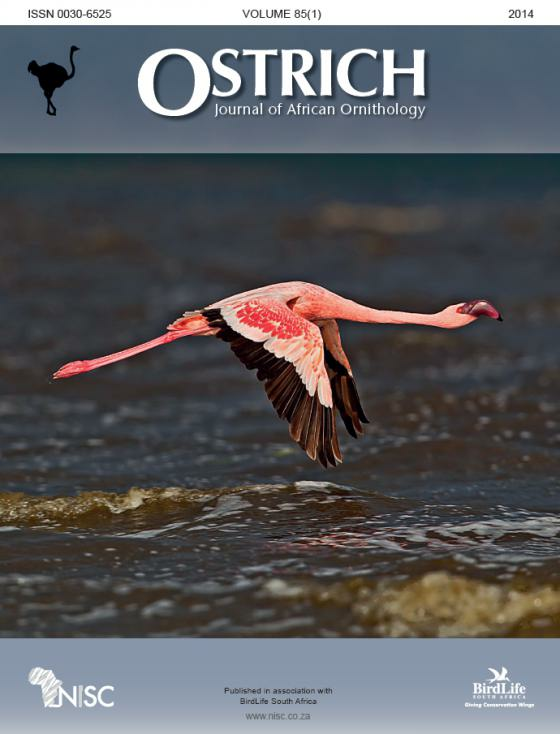 The paper by JE Cooper et al is entitled "Post-mortem examination and sampling of African flamingos (Phoenicopteridae) under field conditions" and is available here. Ingo’s photo will appear on the the cover of all 2014 issues, the first of which will be released soon. Ingo also received a free subscription to Ostrich for 2014.